Kremlin is not aware about statements of a joint command center of Russia, Iran and forces supporting Syrian President Bashar Assad reported by media that the United States had crossed "red lines" by striking Syrian airbase with Tomahawk missiles, Kremlin spokesman Dmitry Peskov said Monday. 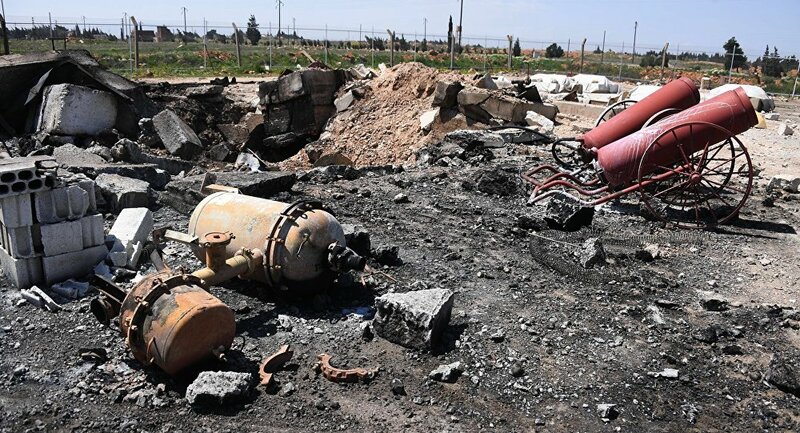 MOSCOW (Sputnik) — On Sunday, Reuters reported, citing a joint command center allegedly comprising the forces of Russia, Iran and militias supporting Assad that the recent US missile attack against the Syrian Ash Sha’irat airfield had crossed "red lines." According to the media outlet, the allies would respond to any new aggression and increase its support for Damascus. "We are not aware about that, we cannot confirm that and we do not know where Reuters got this and where these anonymous sources appeared from again," Peskov told reporters.